Shopping for a new Volkswagen in Harvey? 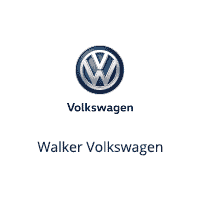 Our extensive new vehicle inventory at Walker Volkswagen might just have what you’re looking for. We have a wide selection of popular new models stock, from the sporty Volkswagen Tiguan to the striking Volkswagen Atlas. You can also rely on our rotating new vehicle specials to find a great deal on the model that has caught your eye. We appreciate your interest in our inventory, and apologize we do not have model details displaying on the website at this time. Please fill the form out below and our team will quickly respond, or, please call us at (504) 465-2000 for more information. When you purchase a vehicle from Walker Volkswagen, you can trust that you’re driving home in a high-quality model at a fair price. We strive to be your trusted location for all of your automotive needs, so we hope you visit our dealership again when the time comes for routine maintenance at our service department, or if you’d like to customize your car with genuine Volkswagen parts and accessories. If you have questions about any of the services we offer, contact us today!